I was drawn in by the brightness of the blue, but I had no idea Royal Rage had a jelly finish until I started painting at home. 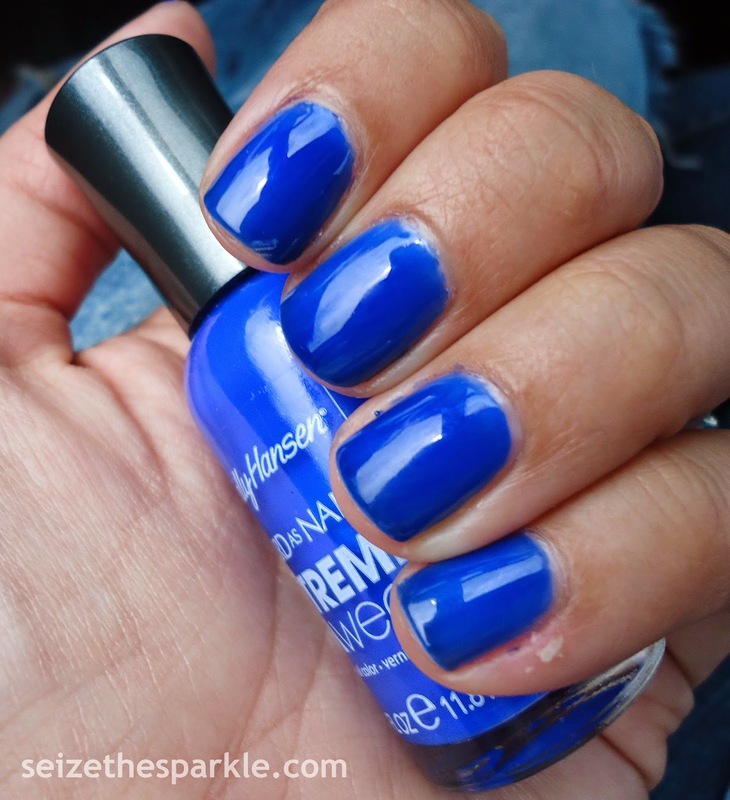 This shade reminds me of Revlon Royal and L'Oreal Miss Pixie, but it's definitely a brighter shade of blue. In other news, this may be one of the first times I'm wearing a jelly polish without turning at least one nail into a jelly glitter sandwich. 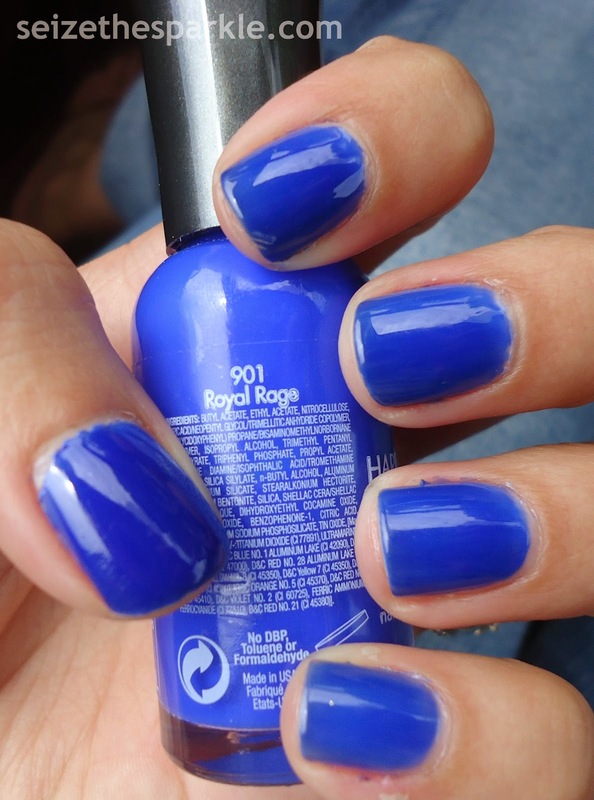 If you're planning on picking up Royal Rage, beware, it actually took me all 4 coats to achieve a streak-free finish. The brush is also a nice size. Not too skinny and not too wide, so application was clean and easy! What do you think of Royal Rage?